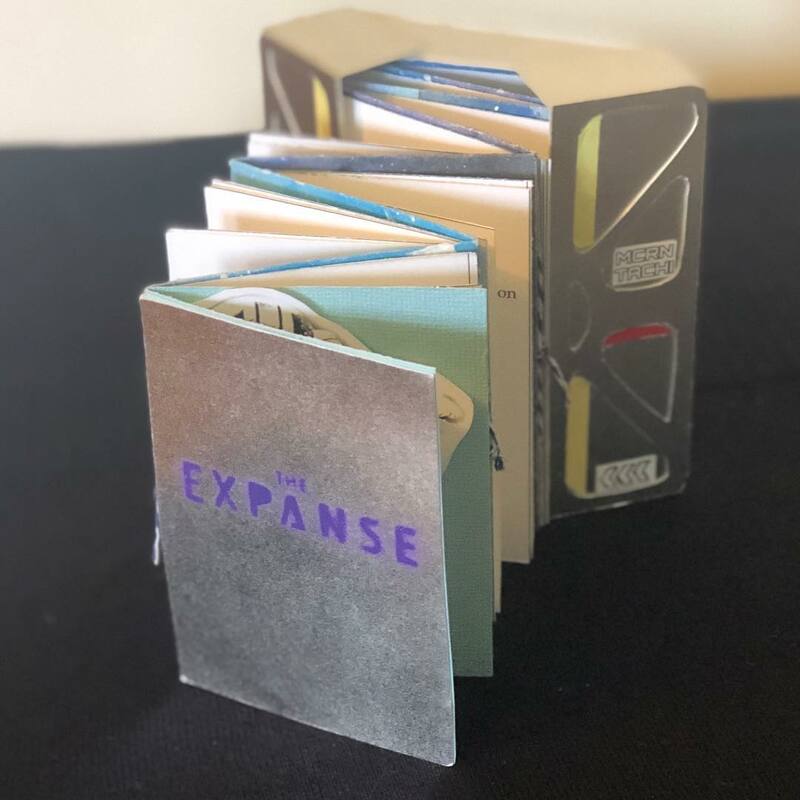 In this blog series, we report on the production progress and other news of The Expanse. During production, we issued blogs weekly, but as production has wrapped for Season 4, we intend to issue them biweekly. We will feature news from the show (cast, production crew, writers, etc. ), media, and the community and collect the latest social media and press activity. We hope this series is useful for those who are not able to closely monitor social media, but who want an easy way to catch up on all the latest Expanse happenings. March was a month of Rocinante crew birthdays! Cas Anvar (Alex Kamal), our favorite Rocinante pilot, celebrated his birthday on March 15. Our favorite Roci captain, Steven Strait (James Holden) celebrated a birthday March 23! Happy Birthday, Cas and Steven! Our cocktail duo reminded us of the “James Holden” cocktail. Yum. March, the last two weeks especially, were incredible for Cara Gee (Camina Drummer). Her film, Red Rover, was warmly received by the Canadian Film Fest, and opened March 19. Oh, and she also did this little thing called MARRIAGE! Congrats, Cara! To catch up on the previous week in review updates, check out our last post. Despite the conclusion of main production, there is still activity. Notably, Additional Dialog Recording (ADR). ADR is dubbing, mixing or re-recording, a post-production process used in filmmaking and video production in which additional or supplementary recordings are “mixed” with original production sound to create the finished soundtrack. The process usually takes place on a dub stage. Wes Chatham shares his recent ADR session. In addition to birthday and marriage fun, our cast and crew were up to other hijinks. This filmmaking podcast, In Love With The Process, features Jeremy Benning, who is a cinematographer for The Expanse. He is who we have to thank for this show’s beauty. Chad Coleman (Fred Johnson) is featured in the DailyMotion video interview. 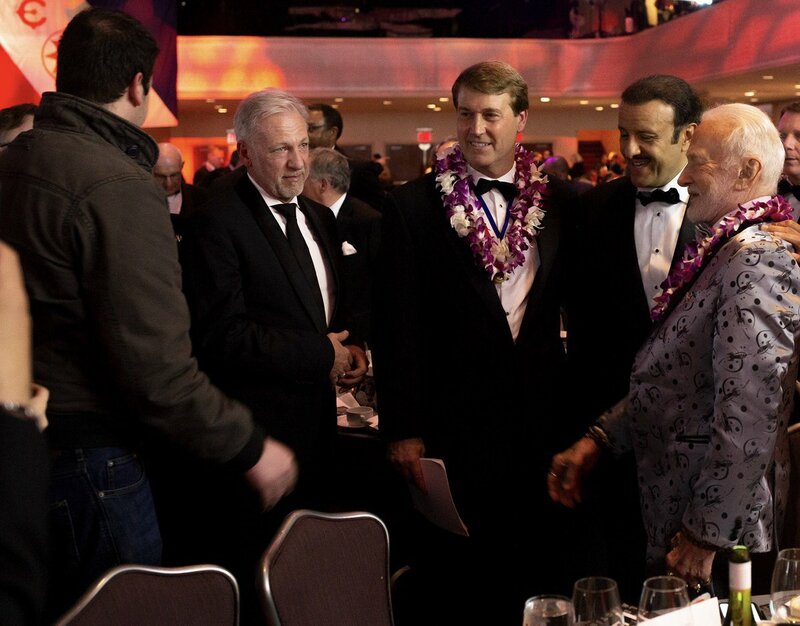 Cas Anvar attended Jeff Bezos’s MARS2019 event with Daniel Abraham and Ty Franck (collectively James SA Corey, authors of The Expanse book series and show producers and writers). Cas Anvar’s mysterious hashtag was revealed to be “Martian on the Loose.” It looks like there is a longer-term event planned! Stay tuned. Producer Manny Danelon got to meet Buzz Aldrin, a lifetime dream. Terry Chen (Praxideke Meng) will get to work with Viggo Mortensen. Terry is a wonderful example of how the cast interacts with fans, providing tidbits about how he perceives Prax, the character he portrays. Celebrating the Persian New Year, The Iranian magazine interviewed Shohreh Agdashloo (Avasarala). Dominique Tipper (Naomi Nagata) gave an interview with Nerd Alert News, and hung with her buddies Cara Gee and Frankie Adams (Bobbie Draper). These girls are tight with each other. And, Breck Eisner (Director) told us his “daughter is officially the new costume designer for #TheExpanse. Her work is LOVELY (smile). Much media attention this past fortnight has been focused on the impending release of Tiamat’s Wrath, Book 8 in The Expanse series. Space and Sorcery provided this spoiler-free review of Tiamat’s Wrath. The Twitter account of Orbit Books, who publishes The Expanse book series, provides a link to their information page about the series. It contains some pretty useful information. We have noticed the interesting divide of people who love the books, and the books only, those who love both the books and the television series and those who will only watch the television series. It’s fascinating and we don’t fall on any one side. The “For winter nights – A bookish blog” counts itself amongst the first camp. This review CONTAINS SPOILERS. So, consider yourself warned. Also containing spoilers, The Verge’s “11 new science fiction and fantasy books to check out for the rest of March” lists Tiamat’s Wrath. But, be warned that the description of the book alone is spoilery. 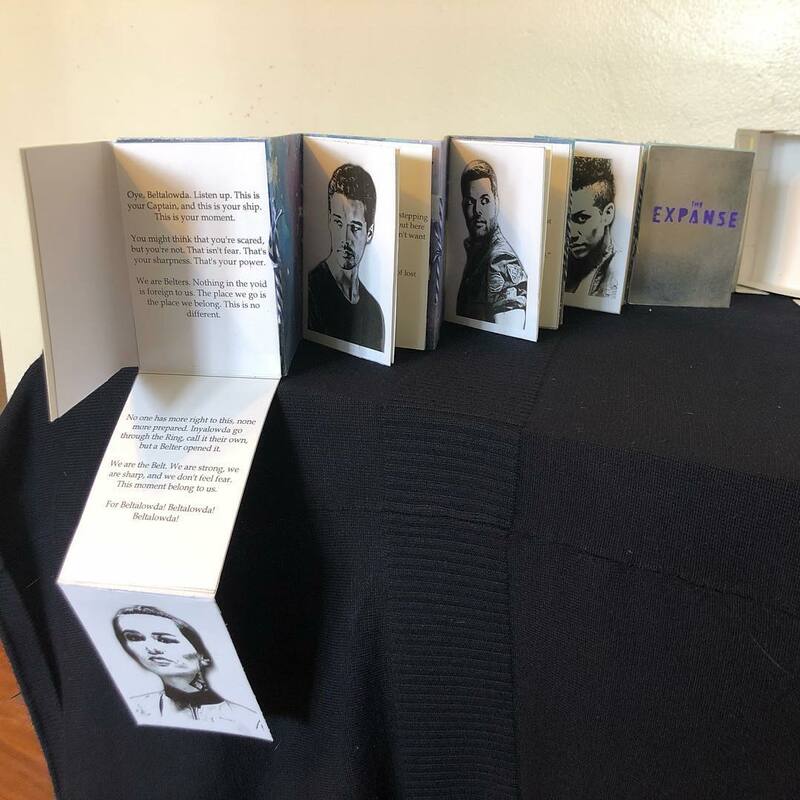 Alibi provides information about a book signing event that will be held in Albuquerque on March 30 featuring Daniel Abraham and Ty Franck. Here are three articles that place The Expanse television show on various must watch lists. While not everyone is thrilled with comparisons between Game of Thrones and The Expanse, some articles provide interesting commentary. GQ magazine’s Joshua Rivera compares the two with The Expanse coming out favorably, and discusses what makes The Expanse such a terrific show. And, well, it’s GQ! One thing everyone can agree on, though, is that the makers of The Expanse are fanatical about scientific integrity in the show. Katie Mack, commissioned by the Sloan Museum of the Moving Image, addresses The Expanse’s Accurate Physics. Conducting a Sci-Fi series championship. You know what to do. We have a lovely selection of fan work to share this fortnight. 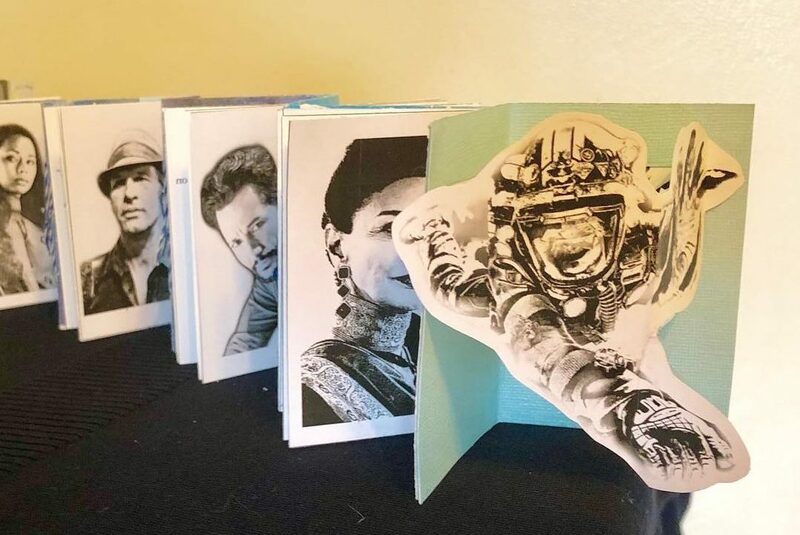 Plus, check out Kasza’s protomolecule container under Three D or other art – amazing. Don’t forget to alert us to art that we might have missed. Here are some talented drawings of Miller and Julie Mao. From Will Watkins on Instagram, a sketch of Florence Faivre as Julie Mao. 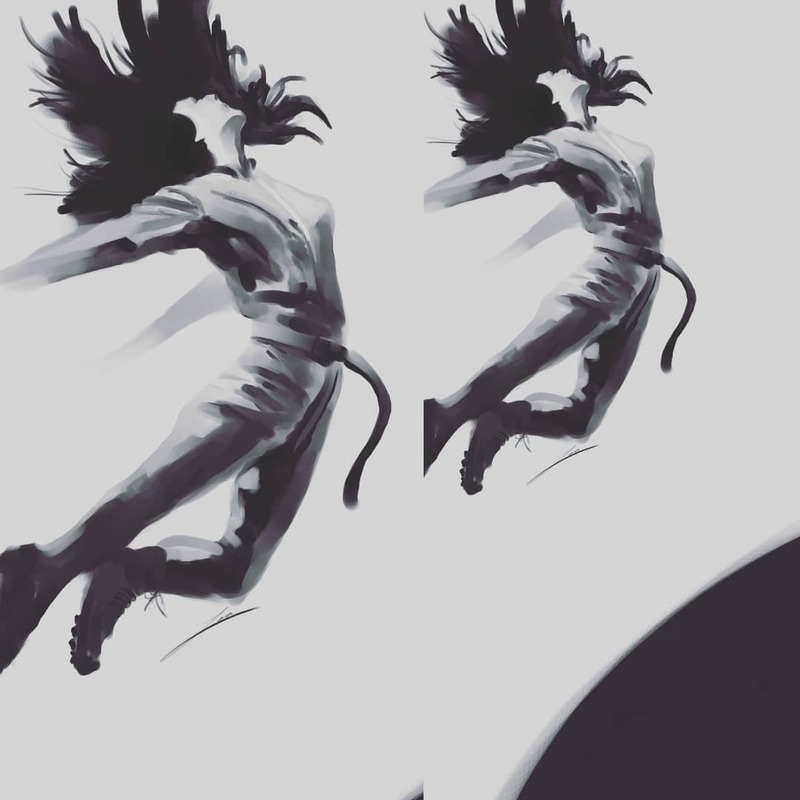 From Ivan Martinez on Instagram, a sketch of Florence Faivre as a floating Julie Mao. From George on the Rocks, an ink drawing composite picture of Thomas Jane as Detective Miller and Florence Faivre as Julie Mao. From KazeranArts on Instagram, digital painting of Thomas Jane as Detective Miller. And, we had some Amos love, as well. From Maks Boldyrev on Instagram, a sketch of Wes Chatham as Amos Burton. 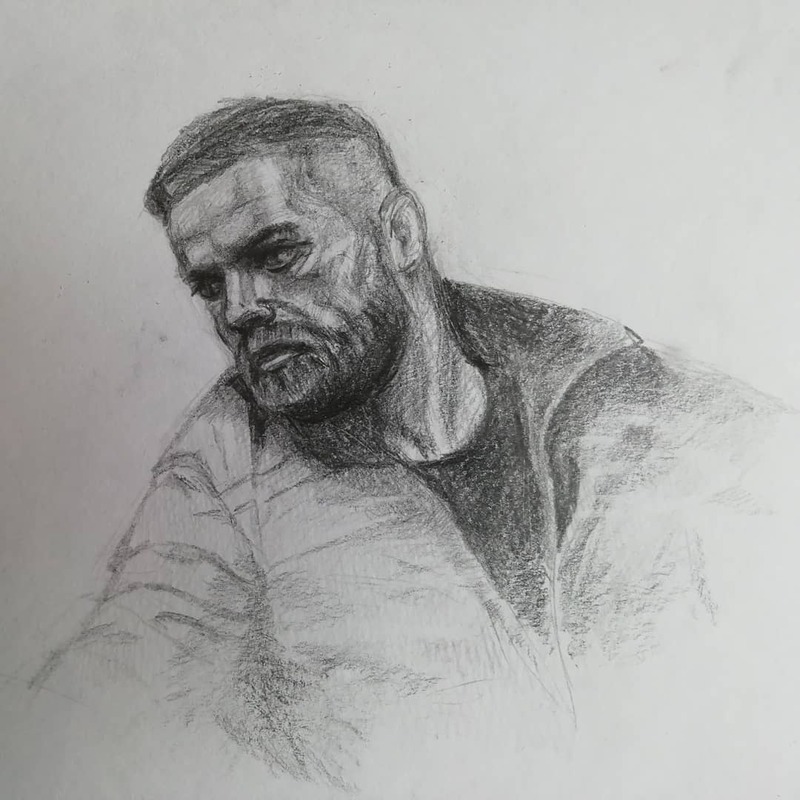 From Will Watkins on Instagram, a sketch of Wes Chatham as Amos Burton. Enjoy a beautiful print of the Rocinante by AmourableArt on Instagram. Mark Ward reacts to Season 3, Episode 6 “Immolation” on YouTube. We frequently list Molly Bee Reacts videos. Molly has been experiencing some trouble on YouTube. Here is her explanation of what is happening. We did test and these links work for now. Here is the latest collection of Molly Bee Reacts for The Expanse, Season 2, Episodes 4, 5 (part 1), 5 (part 2) (extra special!! The Miller/Julie scene), 6 (part 1) and 6 (part 2). Newcomplex provides reaction and review for Season 2, episode 1 and episode 2. Enchantment of Eternity on YouTube provides a comparison of the events of Season 2, Episode 13 to the source material. This wide-ranging Starside Chat Episode 032 includes a discussion of The Expanse. Kasza from Tycho put together this amazing blog on how to make your own protomolecule sample in a container! The creativity of the fans is unsurpassed. OK, don’t get all excited. This isn’t really another novella coming out. Just a tribute/mild joke about a phrase by Dark Lord Returns on Reddit. Don’t downvote it too badly. 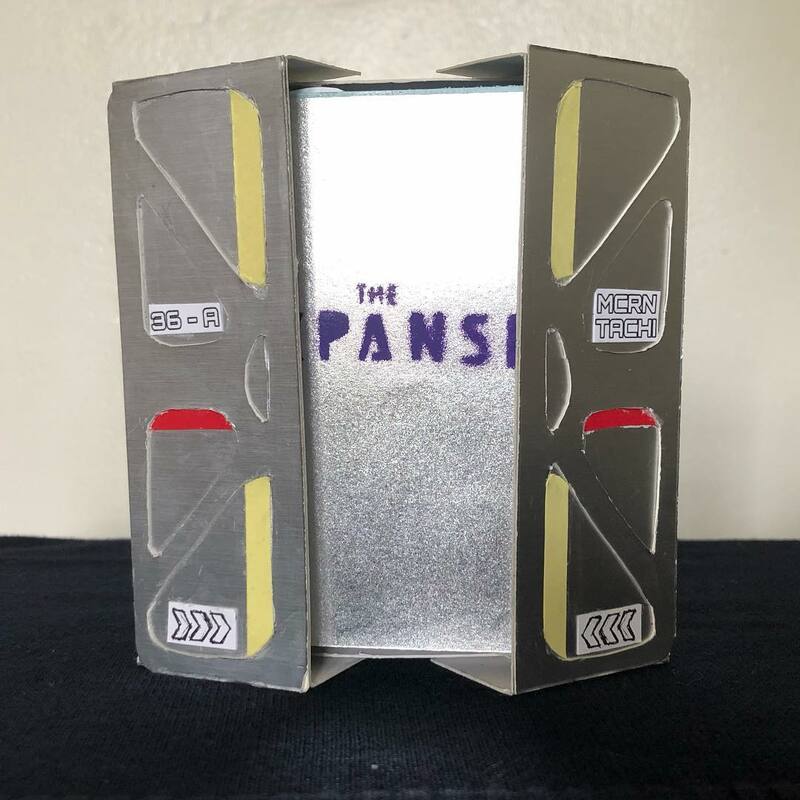 Here’s another attempt at replicating one of the several amazing ships in The Expanse. This is the Nauvoo rendered in Space Engine, submitted by JebediahKerman001 in Reddit. Ever wonder what railgun damage would look like? So did Bumblebee_Assassin on Reddit. 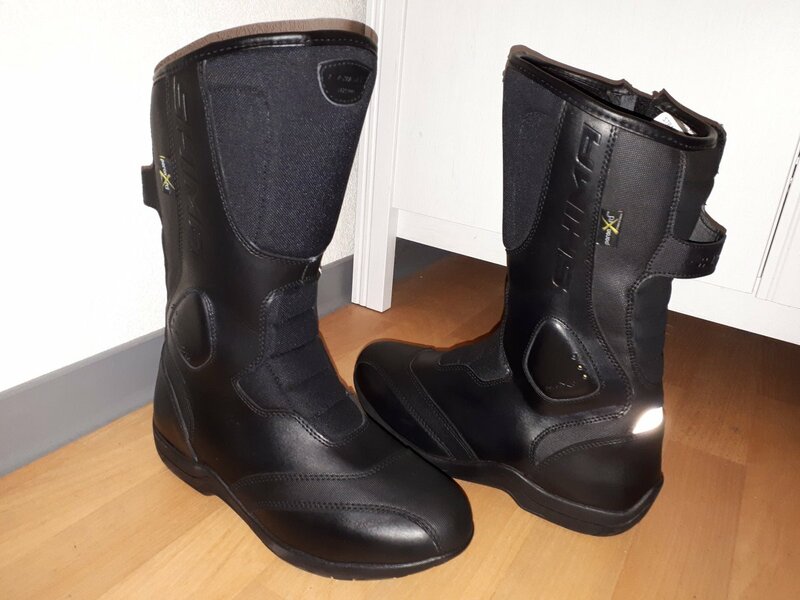 KaszaKulpa shared his work on replicating Mag Boots on Twitter. These honestly look pretty cool. Speaking of Mag Boots, KarlsWeb is also making a set. Chrissi (Clarawhocosplays on Instagram) shares her progress on her Bobbie Draper jumpsuit. Pretty impressive. Another cosplay entry is a Rocinante flight suit by Nickadvancedcosplay on Instagram. 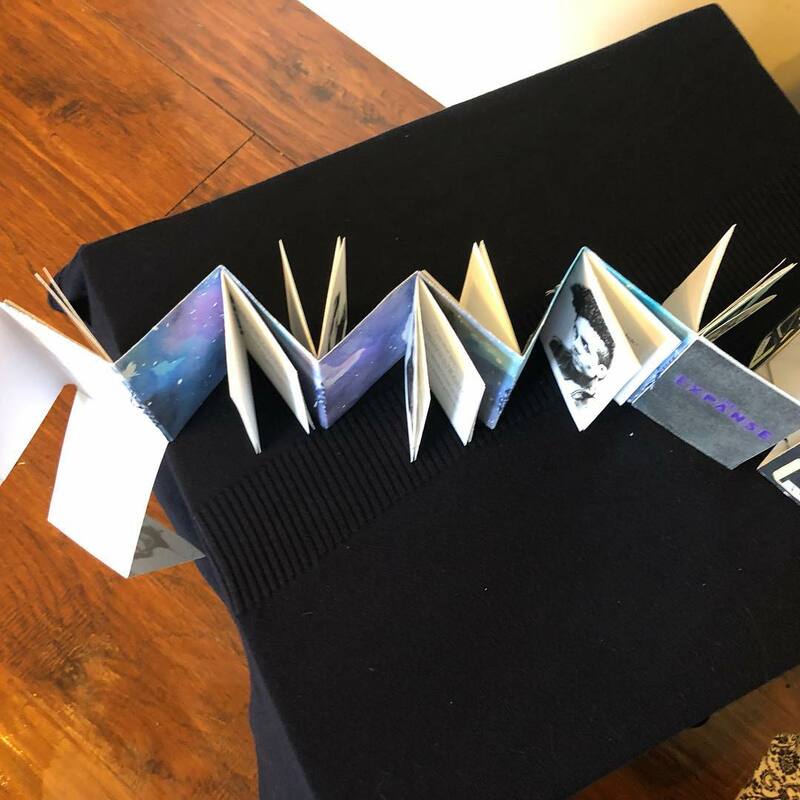 This CLEVER book was made by The Bookish Bruja on Instagram. Make sure to click through on all the images in this second post! There is terrific art contained within. Paine x McTane have released another three cocktails. Cocktail 77, the Canterbury’s XO; 78, the Belter Hottie; and 79, the “grimy belter.” What makes these cocktails wonderful, besides alcohol and great ingredients, is that each of the drinks features something from the show, and there is an insightful commentary which comes along with instructions for making the drink. Enjoy an origami Donnager by Efren de Gala on Instagram. Remy Zins made a trailer for The Expanse, Season 3 using breathtaking music from Mark Petrie for the soundtrack. Such an exciting two weeks! March turned out to be a great month for fans and cast alike. Thanks for reading and see you in a couple of weeks!